I was the first Guinea pig in our big family that crossed the Atlantic over to US when I was 12. I instantly fell in love with the American culture and shortly enough, six of my other brothers and one sister took brave steps and joined me in our quest as well. Together, we all co-founded Sleep & Beyond out of our first home in Fontana, CA. We remember that summer night very well. It was around 2am in the morning, in the middle of the heat wave, as we were all brainstorming various names at a half asleep mode in our small bedroom/office. After hundreds of various names, I suggested “Sleep & Beyond” and all of us quickly sobered up, looked at each other like we co-founded the next Google, got super excited and knew that we were onto a great journey. I love talking to our fans and S&B Believers and learning about their experience with wool. In my free time, I love spending time with my wife Nika and my two amazing kids, Amero and Ramina. P.S. You can find me on You Tube impersonating Scarface. I love acting and singing and wouldn’t mind a role with my Hollywood heroes: Arnold, Sly Stallone, Van Damme, and Al Pacino. I am blessed to have found what I love to do early on in my life. I moved to US at 14 years of age and co-founded Sleep & Beyond with my brothers and sisters at 17. I was inspired by our parents and their experience with Merino wool in Kyrgyzstan and how it changed everyone’s lives for better. The more I learned about Merino sheep and their prized wool, the more I was mesmerized. I remember spending 16 to 18 hours a day just researching about it and I couldn’t resist it because I loved it and felt connected to it very strongly. It was a real fiber, often referred to as God’s Miraculous Fiber. 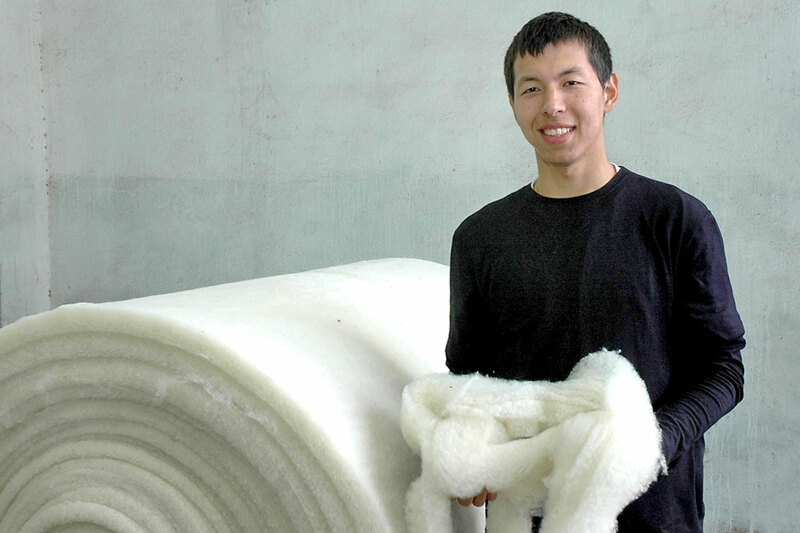 To this day, I believe that wool and cotton are the best fibers to sleep on and it is our ultimate quest to bring the magic of Merino wool back to our S&B fans around the world. In my free time, I love reading auto biographies, exploring Mother Nature, visiting art galleries, watching competitive sports, listening to new sounds of music and spending time with my family.